A frequently overlooked, but very important, piece of information on instrument approach charts is that about takeoff procedures. This is information designed to keep aircraft clear of obstructions immediately after takeoff and during climb to enroute altitude. These procedures are established only at airports with published instrument approaches. Obviously, they should be of significant interest to pilots. 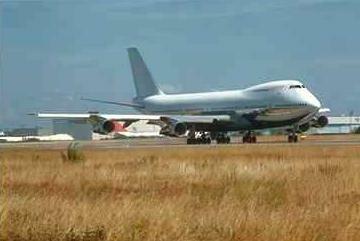 Do not confuse takeoff procedures with SIDs (Standard Instrument Departures). As in other areas, the format of presentation for takeoff procedures is very different between Jeppesen and NOS charts. Jeppesen charts show takeoff procedures, when they exist, on the bottom left corner of the airport diagram (usually the back of the first approach chart for a given airport). NOS charts, on the other hand, use the symbol T in the lower left corner of each approach chart for a given airport. This symbol indicates that either non-standard takeoff minimums exist (more on this later), or that takeoff procedures exist. In any case, pilots must refer to a special section at the front of the publication for specifics. 1. A slope of 152 feet per nautical mile, starting no higher than 35 feet above the departure end of the runway, is assessed for obstacles. 2. If no obstacles penetrate the 152 feet per nautical mile slope, takeoff procedures are NOT published. 3. If obstacles do penetrate the slope, takeoff procedures are published. The procedures may be any or a combination of the following: detailed flight maneuvers, which specify heading and altitude restrictions; minimum climb performance when greater than 200 feet per nautical mile; ceiling and visibility to allow obstacles to be seen; and, in extreme cases, a prohibition of IFR takeoff for certain runways. 4. Obstacle clearance is based on an aircraft climbing at a minimum rate of 200 feet per nautical mile, crossing the runway end at least 35 feet AGL, and climbing to 400 feet above airport elevation before turning, unless specified in the procedure. When no climb gradient is specified in the takeoff procedure, the pilot is expected to climb at a rate of at least 200 feet per nautical mile to the MEA, unless required to level off by a crossing restriction. Climb gradient (expressed in feet per mile) is a function of aircraft performance and ground speed. Therefore, any head or tail wind must be taken into account to determine the minimum climb rate. Jeppesen publishes a "Gradient to Rate Table" with terminal charts to aid in this conversion. Minimum weather for takeoff is specified on Jeppesen charts, near the bottom of the airport diagram. On NOS charts, minimums are published only when they are different than the standard of one mile visibility for single and twin engine aircraft, or one-half mile for aircraft with more than two engines. However, these minima apply only to aircraft operated under FAR Parts 121, 125, 127, 129, or 135. While takeoff minimums do not apply to operations under FAR Part 91, pilots should carefully consider any decision to depart in conditions lower than those specified for commercial operators. Above all, it should be obvious that TAKEOFF PROCEDURES are intended for all pilots.